Here’s a Fun Acronym to Help Clear Your Arrest Records! A new law regarding criminal record expungement has recently been passed in Indiana. This means certain people now qualify to have their criminal records eliminated from public records. It is Indiana’s first comprehensive criminal record expungement law. This is a significant opportunity that will open numerous doors for anyone previously arrested, charged, or convicted of misdemeanor and felony infractions. Peace of mind, employment opportunities, housing options, loans, and a clean record are just a few examples of how the new expungement law can help people with criminal records. Below is a fun acronym that will help you learn, understand, and get started in the criminal record expungement process in your town! E – Eligibility. You must learn your eligibility for criminal record expungement. Unfortunately, not everyone qualifies. X – Xerox. After you expunge criminal records, it’s time to get your job application Xeroxed and ready because you will have more employment opportunities available to you! P – Public Record. Your criminal history will be sealed or hidden from the public. People, employers, and banks will not have access to your past arrest records. U – Undue Hardship. You will not have to face the undue hardship that comes with having a criminal record. Sealing or expunging your criminal history will make life easier. N – New Indiana Law. The criminal record expungement law is relatively new still. It might not last forever. So be sure to take advantage of it while you still can! G – Government. Governmental entities will be the only ones who can access your expunged or sealed criminal records. The rest of the general public will not have access at all. E – Embarrassment. By sealing or expunging your criminal records, you no longer have to hold on to the shame of having a criminal past. It makes first dates much easier too! M – Misdemeanors. Misdemeanor and felony arrest records can be sealed or expunged so long as they meet the prerequisites for eligibility. E – Earn. You will earn the right to several privileges you did not have before. Student loans, mortgages, employment opportunities, promotions, housing, and more are just a few to name. N – Negation. Once your criminal records are officially expunged or sealed, you can legally deny them on job applications and more. It is not lying! T – Teens. Teenagers and minors have record expungement options too. Just be sure to talk with a seasoned Indianapolis criminal record expungement lawyer to learn everything you need to know. Call David E. Lewis, Attorney at Law, at 317-636-7514 to learn your eligibility for Indiana criminal record expungement and restricted access. Our criminal defense law firm offers free initial consultations to do just that! That means no out-of-pocket charges to see if you qualify! And rates start as low as $850 of those who do! Call 317-636-7514 to schedule your consultation for criminal record expungement, today. 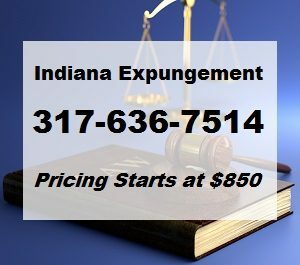 This entry was posted in Indiana Criminal Record Expungement and tagged criminal record expungement Indiana, criminal record expungement info, Indianapolis Expungement Lawyer, redcord expungement teens. Bookmark the permalink.